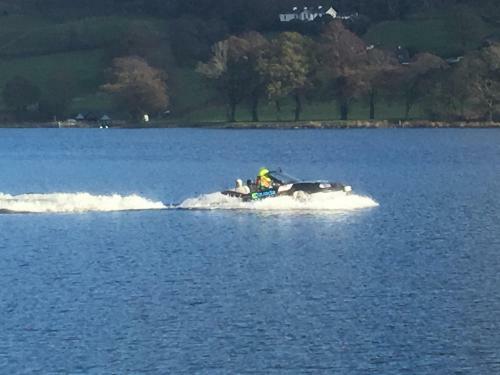 As the sun rippled across the still waters of Coniston Water, there was an almighty mechanical scream. The idyllic Cumbrian town of Coniston boasts the riotous mantra of a chess match once the tourist season has ceased, yet the rolling hills echoed to the sound of ear-piercing anarchy. Known worldwide as the ‘spiritual home of water speed record breaking’, Coniston Water holds a dark past when it boils down to water speed records, claiming the life of Donald Campbell back in 1967. Yet Campbell’s spirit lives on as, in November each year, several racing boat teams descend upon the sleepy tourist trap from across the nation in search of one thing – speed. 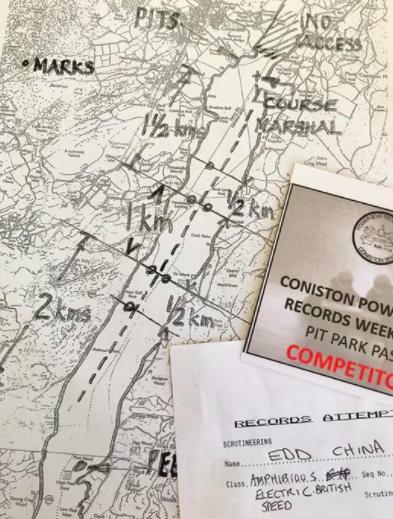 Over sixty volunteers give their time to Coniston Powerboat Records Week, now in its 48th year and currently sponsored by Coppermine Cottages, welcoming competitors of any age and ability. One such attendee stood by the water’s edge, waiting for his scheduled run in the biting cold. 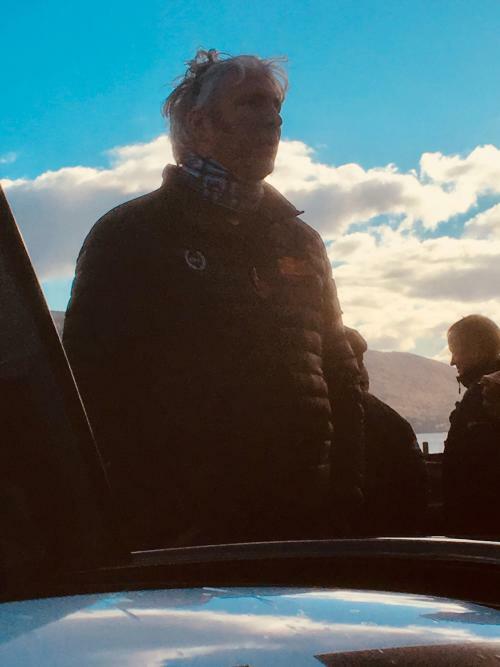 Edd China. Standing by his craft, a Gibbs Aquada, Edd turned to us with a grin. ‘I’m going for the record at 2pm’. There was a glint in his eye radiating pure excitement. Unlike most who talk the talk, China was clearly ready to walk the walk. He certainly had the ‘vehicle’ to claim victory with. 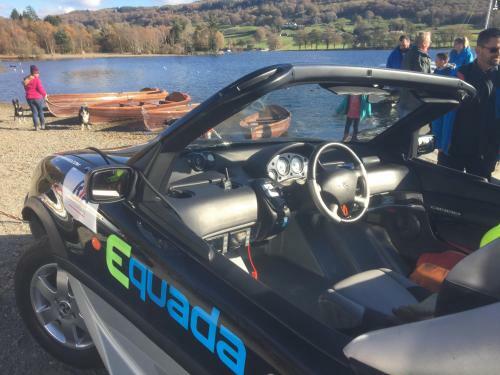 Appearing at Coniston Powerboats Week in 2017 with the previous Aquada incarnation, this year’s machine trumpeted a dark secret. Whereas the original was powered by a Rover K-series V6 engine, the new Gibbs Aquada laid claim to – and whisper this quietly – fully electric drivetrain. 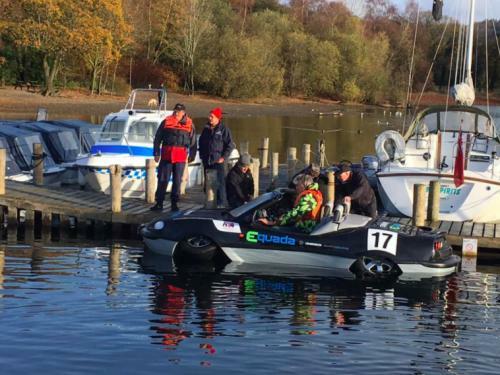 This was the world’s first High Speed Amphibian, on Coniston Water for the first time. Installed with two 200kw electric motors capable of 60 minutes’ worth of activity and a 100-mile (161km) range, the Aquada suffered a considerable handicap. Most of the power was going to be spent trying to get the vehicle onto the start line. As an amphibious car, the wheels had to retract for aerodynamic stability, using a substantial amount of juice in the process. Nevertheless, this challenge didn’t seem to daunt the TV presenter. Embarking down the slipway in front of an amassed crowd, China tore off to the first markers and expectant officials. Unlike other record attempt boats of the day, there was no spluttering of revs or guttural cry of clout. Instead there was buzzing silence, punctuated by the lapping of Coniston Water's cold, dense life blood. On a crest of spray, Edd tanked up the lake. It was impossible to determine the success of Edd’s venture until the speed officials broadcast his result. Yet the broad smile upon driving up the slipway said it all. 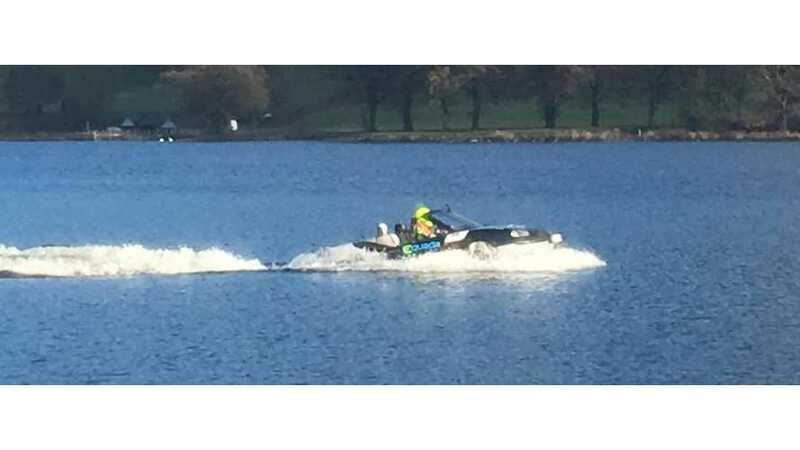 He had cracked the national record with a top speed of 28.7mph (24.9 knots). As the next day dawned, Edd and the Gibbs team were poised to attempt a further run. 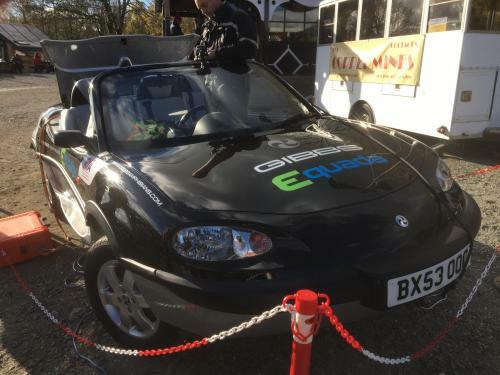 However, the amphibious electric car had other ideas. Upon docking at the pier, the Aquada developed a problem; wafting dank curls of smoke into the static air. As it turned out, the electrical system had fried a number of resistors. Health & Safety called an end to the second run. Despite the teething problems, Edd and the team didn’t appear downhearted. The result was still in the bag.